The convenience of 128 South goes beyond the elegance of your reception area. The building is beside the Stemmerman’s Inn, so guests and their families can enjoy staying in an inviting suite before or after the wedding. 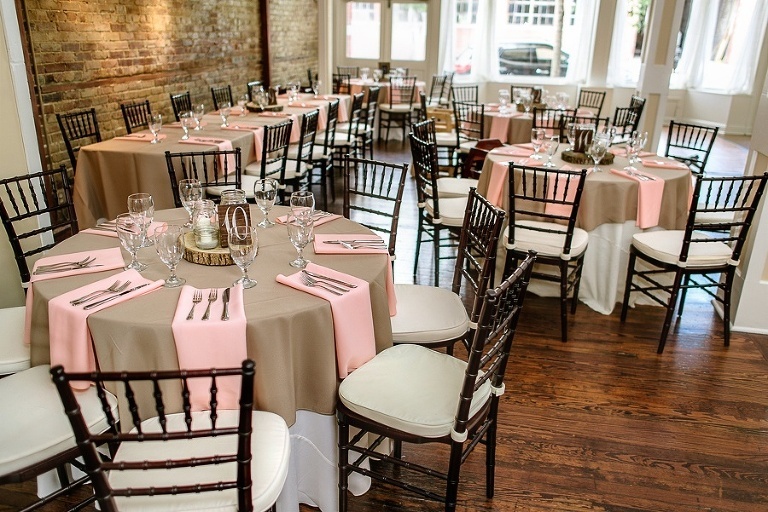 Additionally, the downtown Wilmington, North Carolina location makes it easy for guests to explore the shops and sites of the city when they are not at the wedding festivities. Hosting a wedding at 128 South is sensational because of the amenities and customer service that make every 128 South wedding special. Since we only book one affair at a time, we can focus on making sure that your wedding is a day that you and your guests will remember forever. 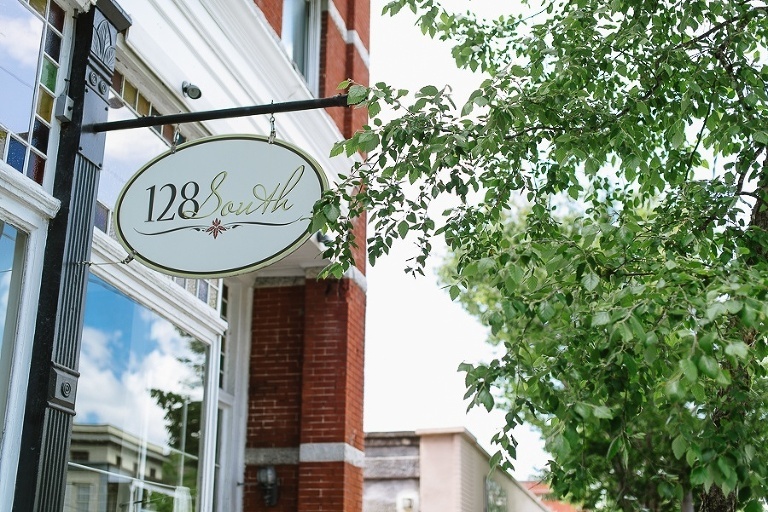 When a couple is seeking a location that combines historic charm, modern conveniences, and a romantic atmosphere, 128 South is a wedding venue that delivers it all. The rich hues of a dark wood floor make the reception hall warm and inviting. Historic Victorian touches include brick walls, stylish beams and stained glass windows that add a rustic, elegance to the room. 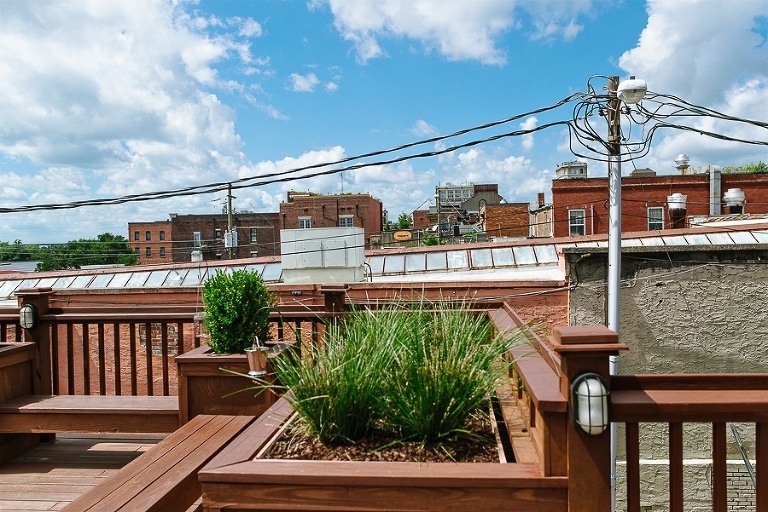 A mezzanine on the second floor provides a beautiful view of the lower level. 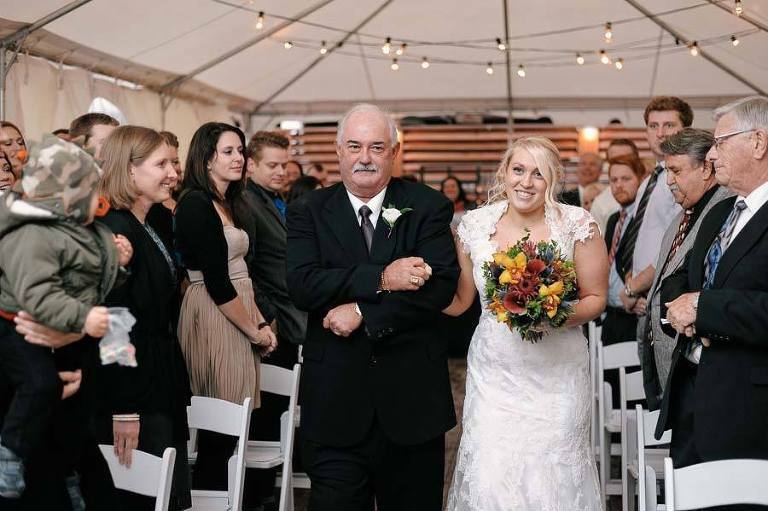 Brides can also choose to have an outdoor ceremony or dance party on the 128 South River View Deck. This recent addition to the facility provides gorgeous views of the Lower Cape Fear River that will captivate brides and their guests. Couples have their choice of using on-site or off-site catering. On-site catering offers delicious buffet items, plated meals, and bite-size cocktail food. Although the beauty and festivities of your 128 South wedding will remain special, your memory may blur with time. Given the limited joyful occasions in life, you will want to remember your 128 South wedding with clarity. My photography services can help you recall the details of your reception and ceremony. I will shoot a combination of candid and formal photographs to create an eloquent story that allows your mind to recreate your wedding day. Long after your floral arrangements die and your reception ends, your photographs are the bright memories of your wedding. Therefore, it is essential to choose a photographer who knows the photography policy of your wedding venue, has a warm personality and can keep you relaxed in front of the camera. Photography by Kristopher has been providing satisfied customers with unsurpassed photographs for years. Come in for a consultation, discuss your wedding plans, and let my camera lens capture beautiful memories you will enjoy throughout your life.